The Hausa Muslim are one of the largest ethnic groups in Africa. They are a diverse but religiously homogeneous people based primarily upon their common adherence to Islam. They predominantly come from Niger but also from Cameroon, Côte d'Ivoire, Chad, Togo, Ghana, Sudan, and Gabon. 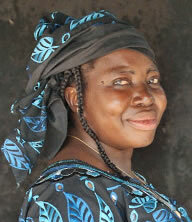 They speak Hausa, which has more first-language speakers than any other language in Sub-Saharan Africa. A large and growing printed literature in Hausa exists including novels, poetry, plays, instruction in Islamic practice, books on development issues, newspapers, news magazines, and technical academic works. Traditionally, Hausa Muslim lived in small villages or towns in Africa, where they grew crops, raised livestock including cattle and engaged in trade. Hausa are Sunni Muslim, who hold that the Islamic prophet Muhammad's first Caliph was his father-in-law Abu Bakr. Pray for God to reveal to Hausa that they can personally know not only the ultimate Creator God but also the intimate God as revealed through Jesus Christ. Pray for evangelicals to become aware and make friends with Hausa in other to share they Jesus is their intimate, close, personal Savior for all daily affairs and needs.